A great number of Canadians are facing a problem that previous generations didn’t have to consider – we’re out-living our retirement savings, by quite a large number of years. There’s a bumper sticker that says, “I’m spending my kid’s inheritance.” An increasing number of Canadians have an RRSP, but it might be fair warning to give out that bumper sticker with every RRSP. Why? When you turn 71, the government requires you to convert your RRSP(s) into a RRIF(s) and pull out a minimum amount every year, with that amount increasing yearly. Other investments may be needed, and we want to share a few facts to help as you navigate the financial world. The Time Value of Money – It’s better to invest sooner than later. If someone said they’d give you $1,000 to invest now, or you could wait and do it in two years, you’d invest now. The Time Value of Money is a financial principle that demonstrates the impact of interest rates and time. Learn about the elements of that principle and the future value of money below. Interest Rates and The Rule of 72 – For a simple rule of thumb, there is a doubling rule called the Rule of 72. Take your interest rate and divide it into 72. The result will tell you how long it will take for your money to double. For example, if your interest rate is 5% and you add nothing more, your money will double in roughly 14 years. If that rate drops in half to 2.5%, it would take about 28 years. The math also works the other way. If you want your money to double in 5 years, you need an interest rate of 14.87%. If you have 10 years for it to double, the interest rate would need to be 7.18%. Time vs Compounding – The key to compounding is to start sooner than later. Most investment interest is compounding, but not all compound at the same rate. A $1000.00 initial deposit compounding yearly at 5% will return $1,050.00 before tax. Compounding quarterly would return $1051.24 before tax. When you add $150.00 a month* for 20 years, you’ll have either $7,861.19 for annual compounding or $7,869.75 quarterly before tax. The tip here is that the frequency of compounding will not make up for a late start. Why Use Tax-Protected Products – If you were to deposit $1000 annually into an RRSP, TFSA or other tax-protected investment product, at an interest rate of 5% for 20 years, you would have $37,373.00. If you do the same thing outside a tax-protected product, you would have approximately $7,000.00 less at a 34% income tax rate. We Can Help – If you’d like to talk to someone about your investment options, we’d love help. 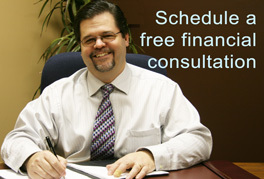 Todd is a Certified Professional Planner with over 20 years’ experience helping people find solutions that work. Having lived and worked in Three Hills most of his life, Todd has probably helped many of your friends. If getting started is a challenge, call us. RRSPs are a good start, but there are more solutions out there. Please note: All information provided on this website is for the general education of Canadian residents only. All posts are accurate as of the date of publication and are subject to change without notice. For current, personalized, or up-to-date information, please contact us directly.